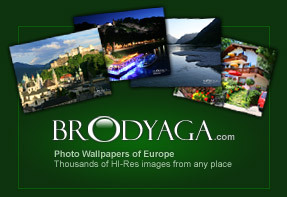 Description: A lot of desktop calendars with photos of different European countries. Convenient navigation and nice interface. Calendar, media player and other options. Description: Desktop Panel version of "Winter 2006" theme for Talisman 2.95. Added some useful functions for DP using. Saved all features of the "big" version. Description: Covers right side of a desktop. Adds: MediaPlayer controls, Sound Volume control, Analog Clock, Calendar, Find and Recycle buttons, Run Box with list of recent commands, List of Recent Apps, List of desktop items, Custom shortcuts List, Wallpaper controls (Next/Previous/Change/Center/Tile/Stretch wallpaper), Add/Remove software buttons and other features. Includes "Austrian" wallpaper.